The Lord’s Perfect Sign – Does This Mark the Start of WWIII? 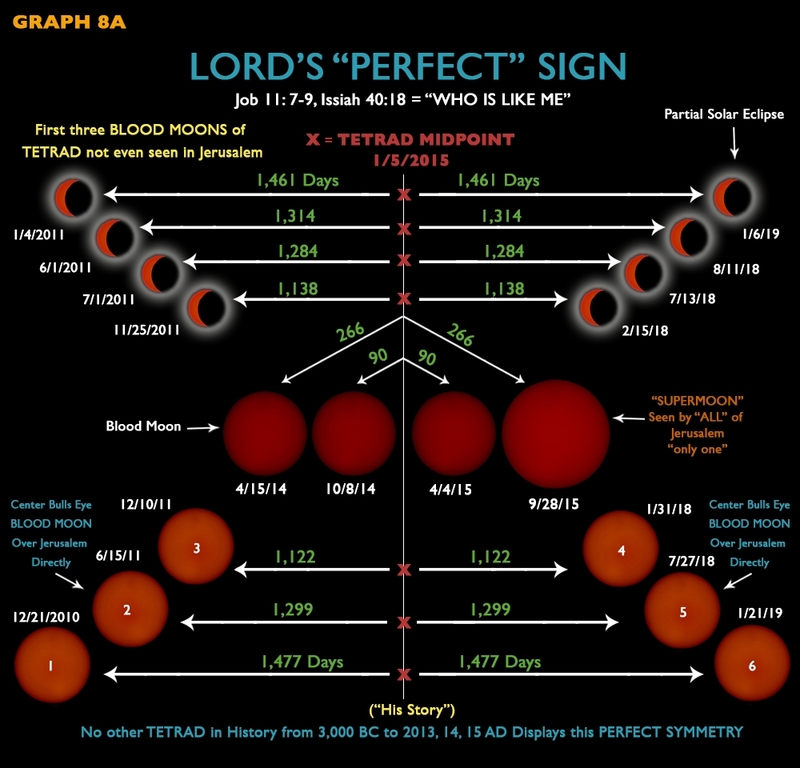 Take a close look at this graphic and the IMPOSSIBLE math of the date separation of the blood moons. 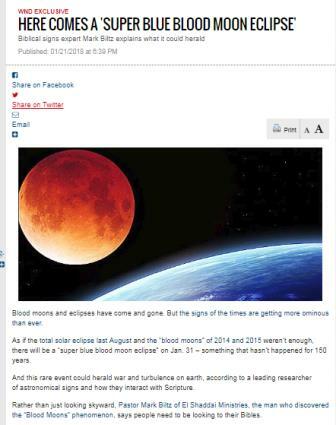 Mark Biltz talks about the recent blood moon (Super Blue Moon) and how the scriptures “seem” to indicate it might point to the start of WWIII, but few mention the impossible pattern that is shown from 2010 all the way to Jan of 2019. Does this mark the end of this period of what appears to be a false type of “peace and safety”? Be ready because we have every reason to believe this is God’s final warning to the people watching for Jesus’s time of trouble, and the coming for His Bride during the Sixth Seal. Here is some more information on this amazing sequence of blood moons.